I thought I had better let you know. There is a Beach Boys musical touring Britain at the moment, and it is at the New Victoria Theatre in Woking on Thursday. It’s a small world. My daughter Vicky, who you saw in the bar after the Convention, is an actress who is dating a guy who works in musical theatre. He auditioned for a part and was turned down, but when someone dropped out, he was invited to step in for three shows. He had to learn 40 Beach Boys songs in about three weeks. He also has to do a Meet and Greet! I’ll be attending the show in Woking on Thursday. there is one in Glasgow on Friday. Roy Gudge Wednesday 7th October 2015. 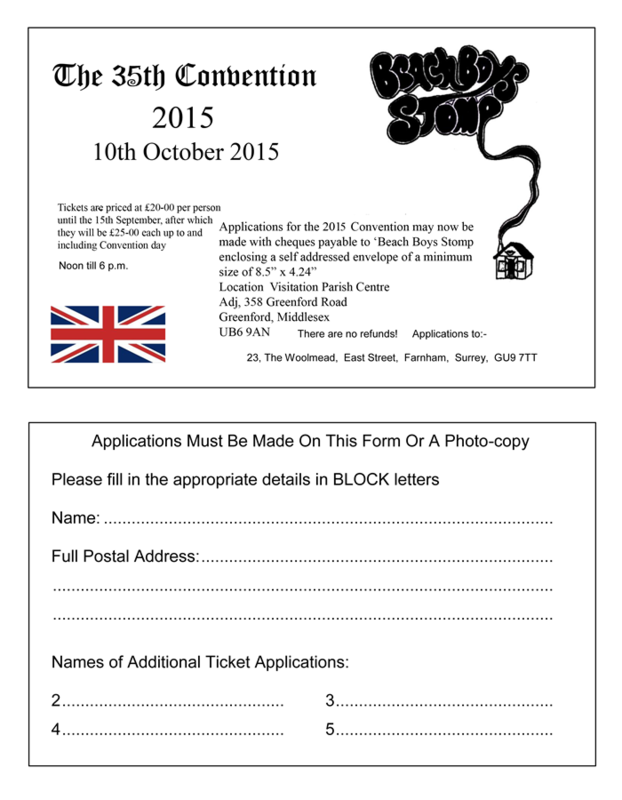 The application date for tickets priced at £20-00 has been extended to Saturday 4th October 2015. 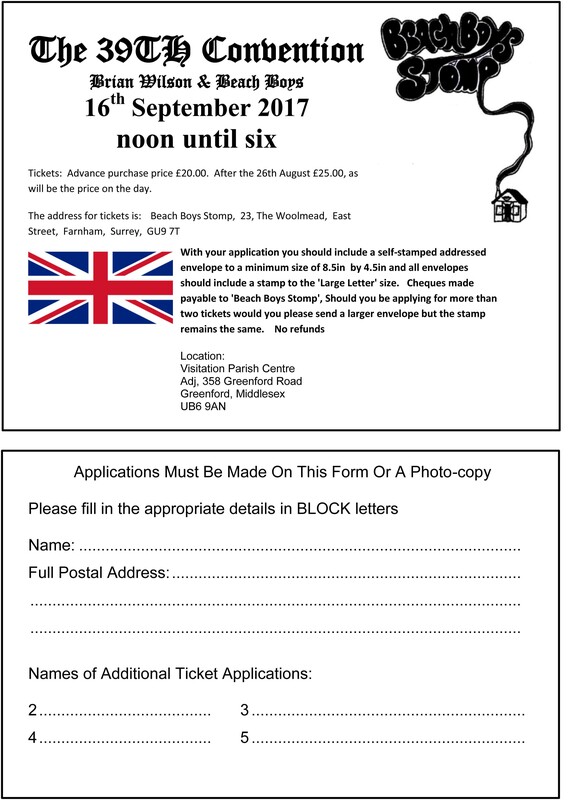 The reason for a cut-off date is in place so we do not have to deal with last minute applications. This has worked very well in all the time we have been using this system. It also helps to relieve last minute pressure, although to be fair we have been involved with this for quite a long time. So there are no doubt many who would say we are supposed to know what we are doing!